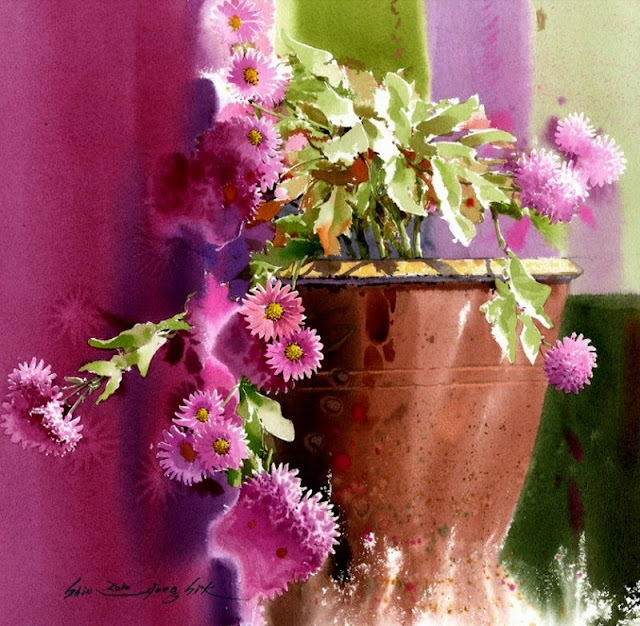 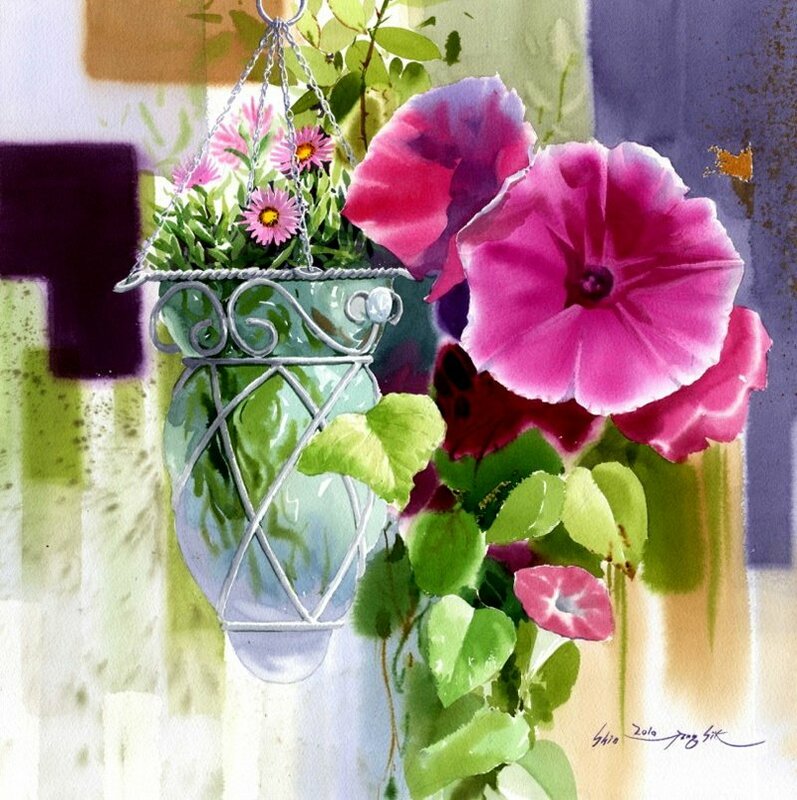 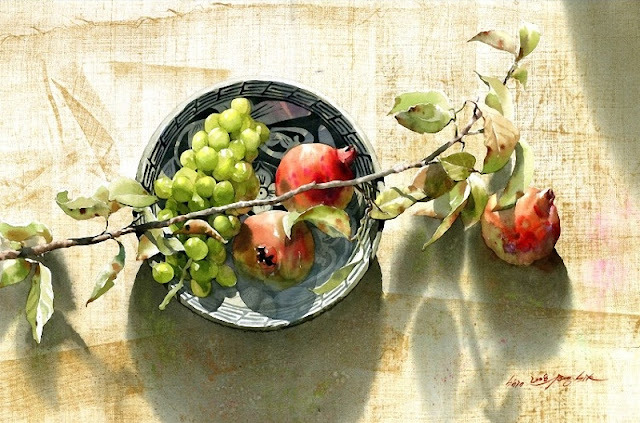 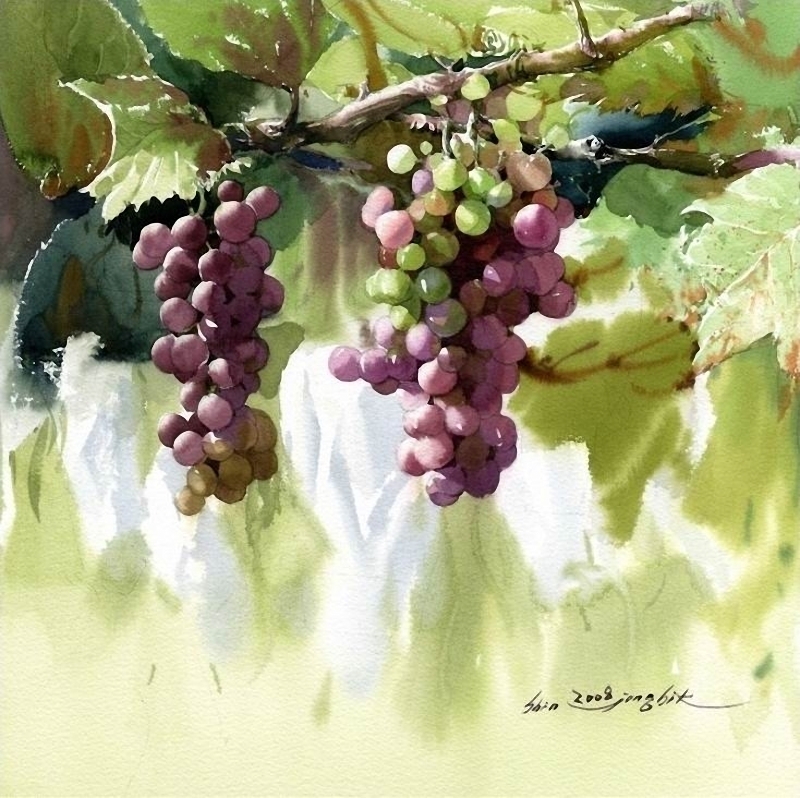 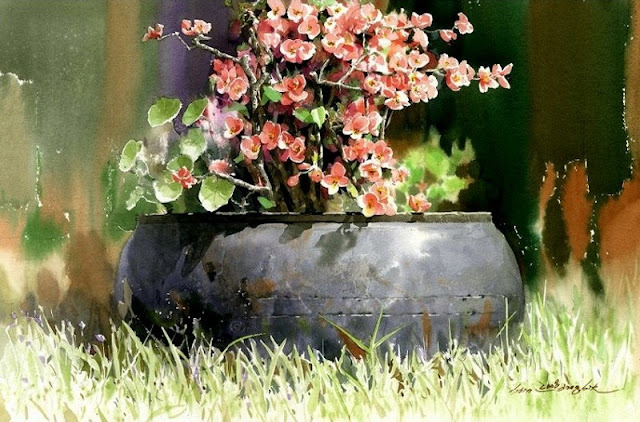 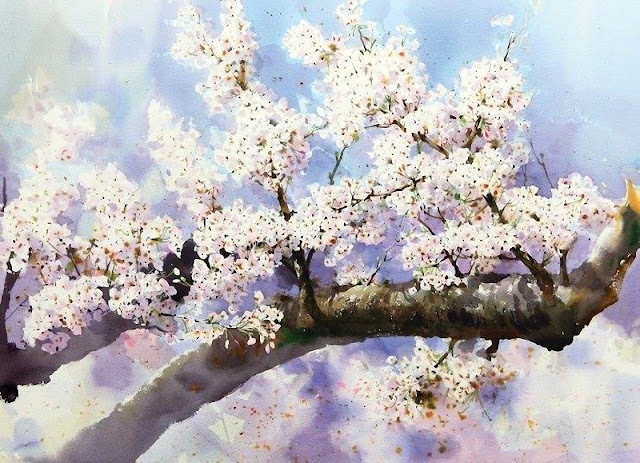 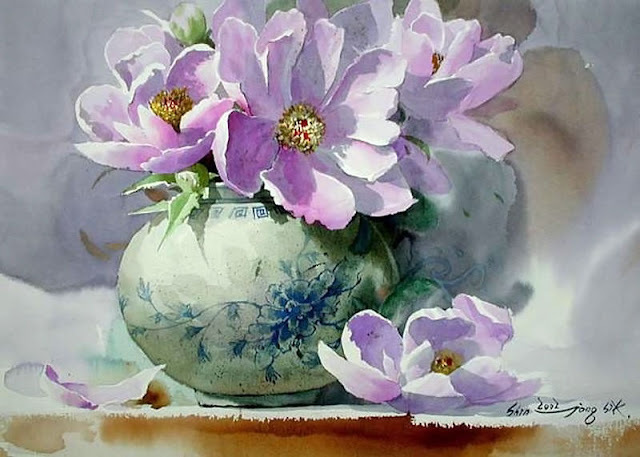 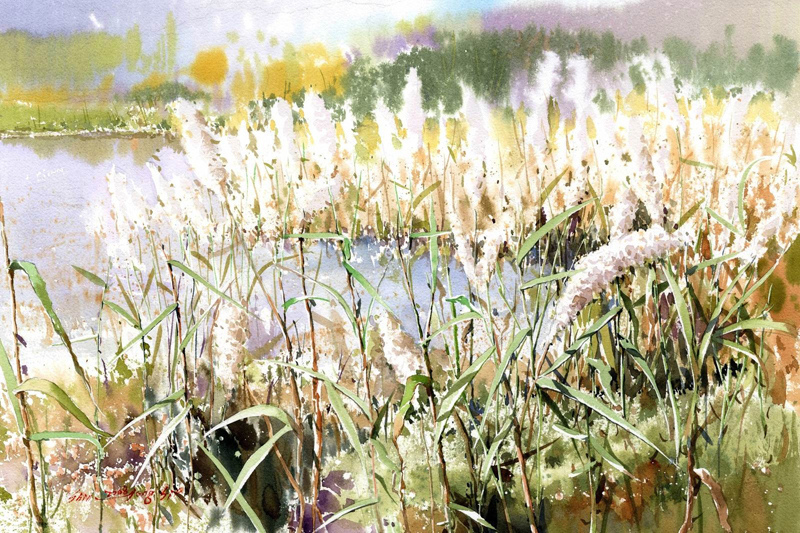 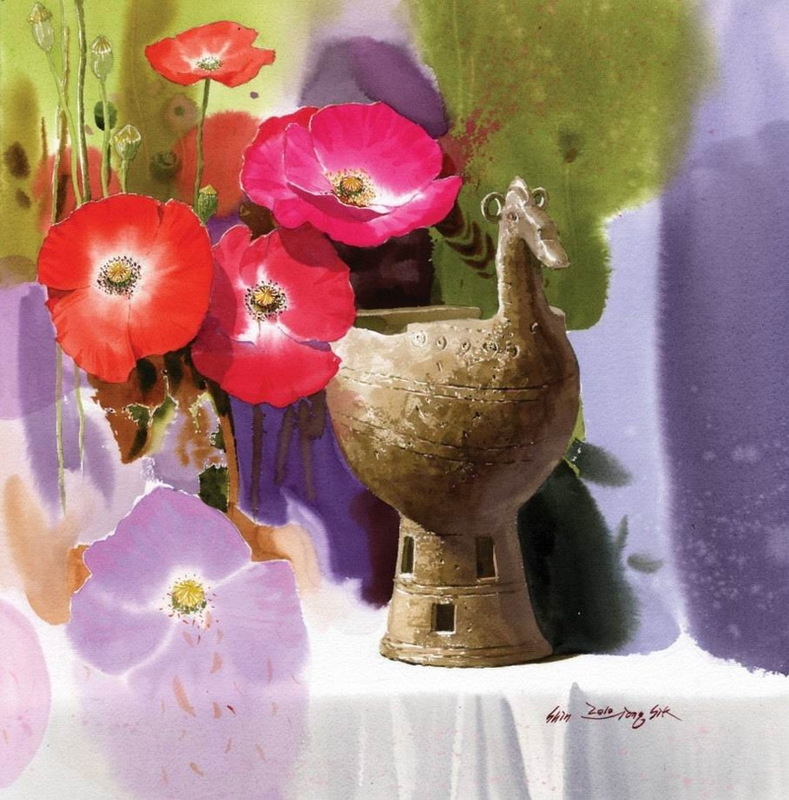 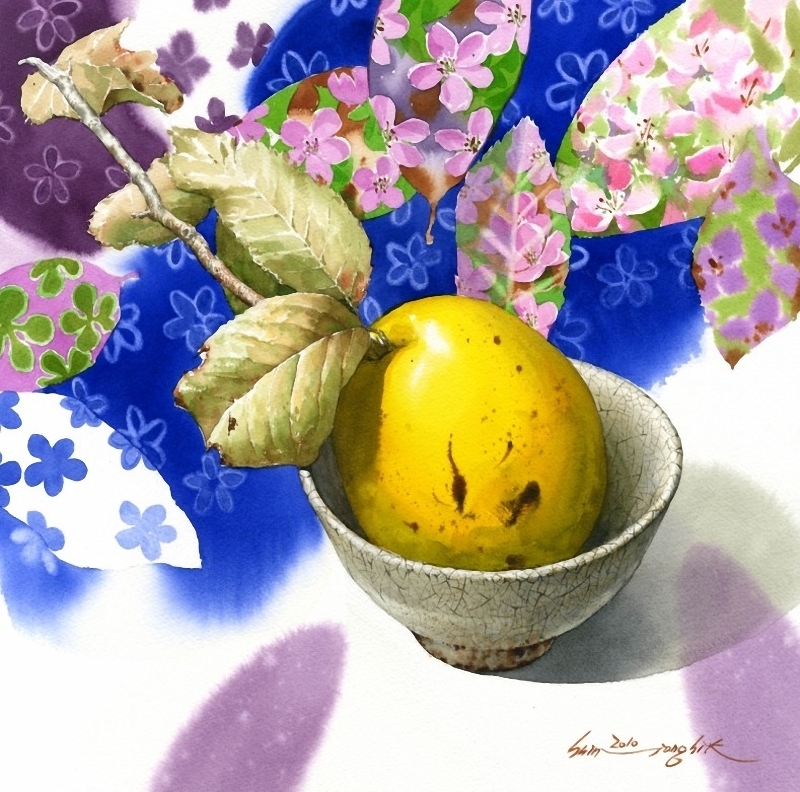 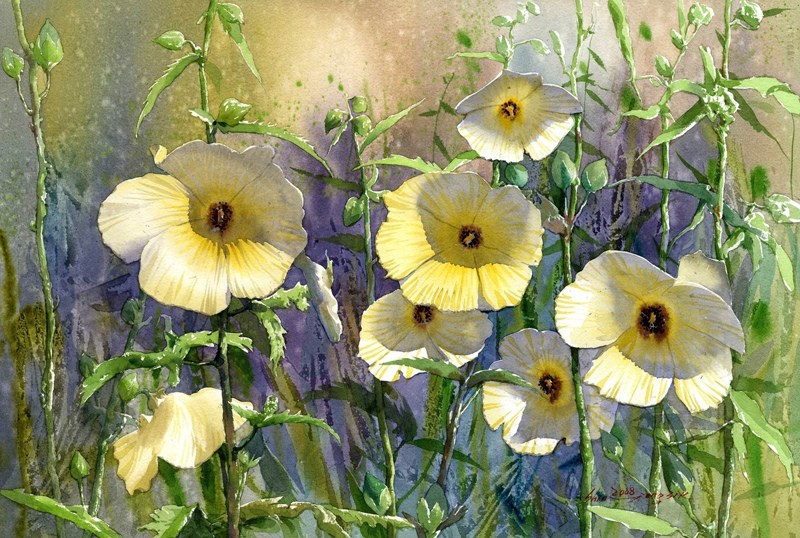 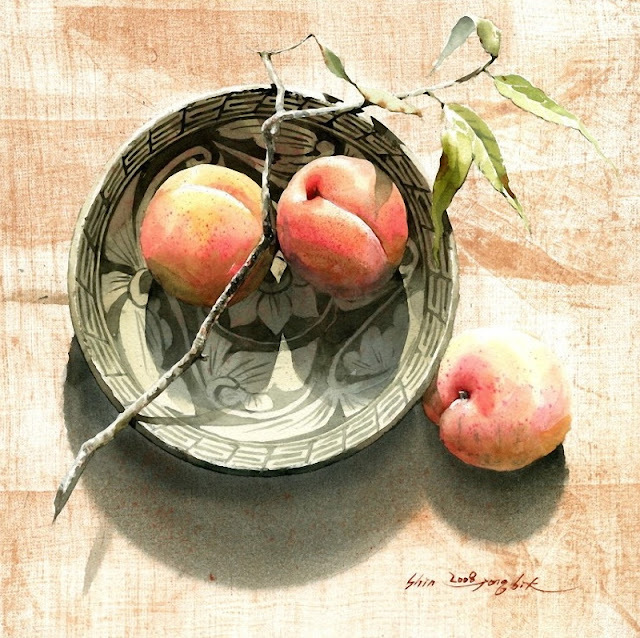 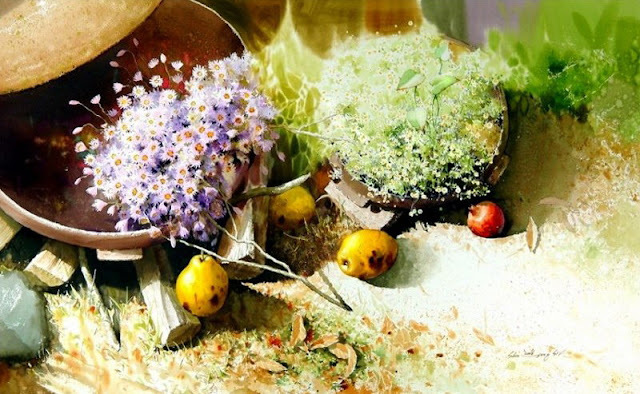 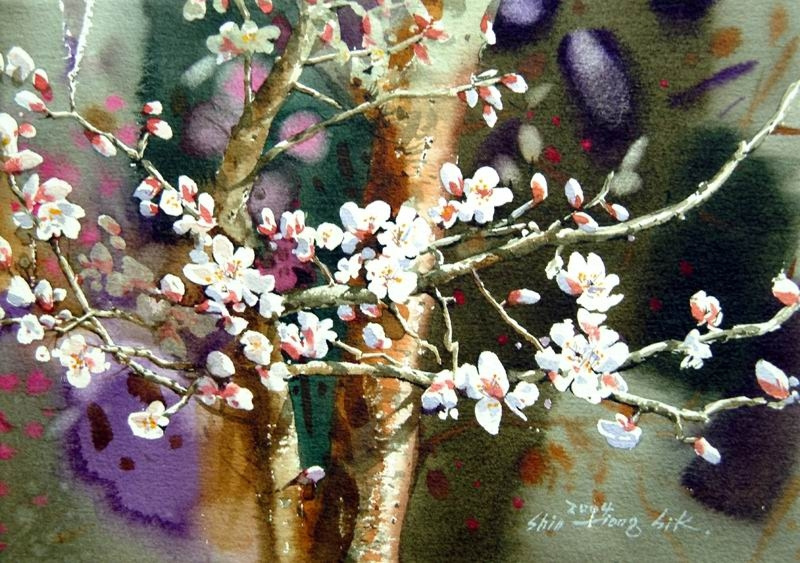 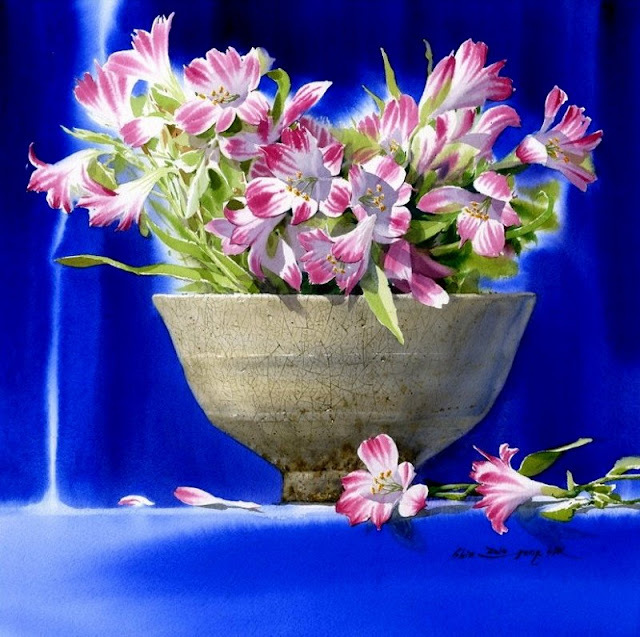 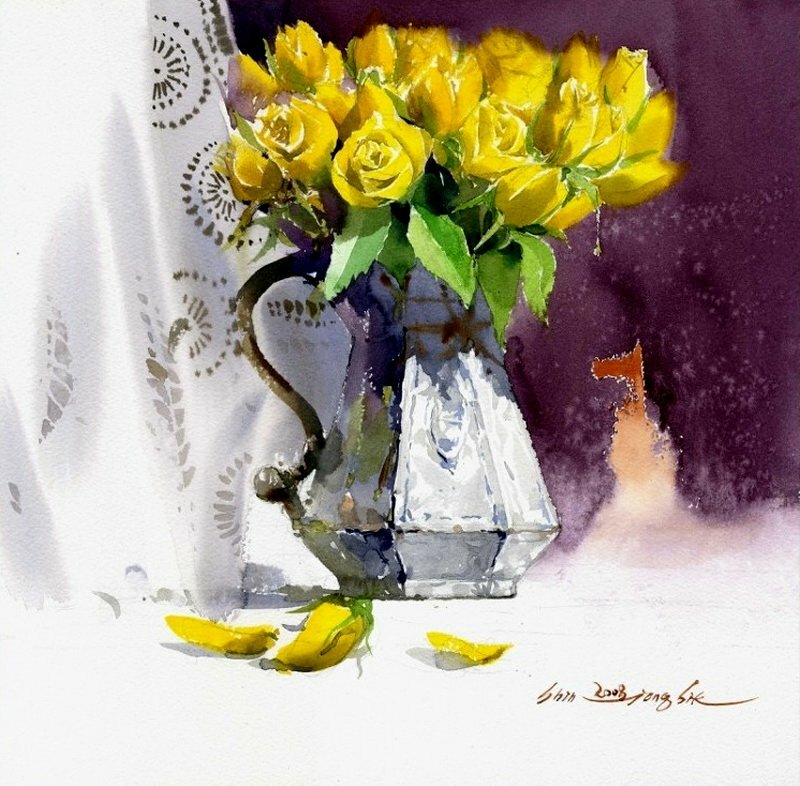 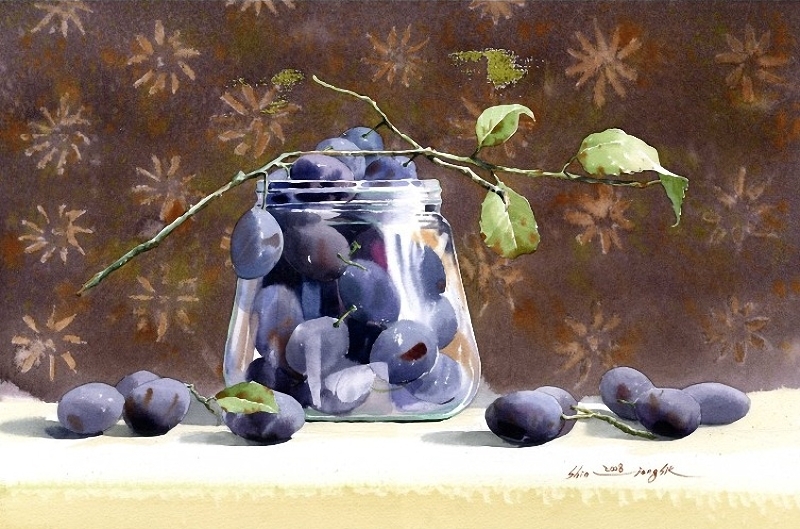 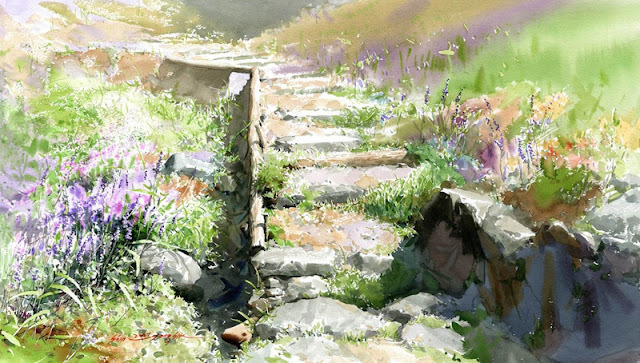 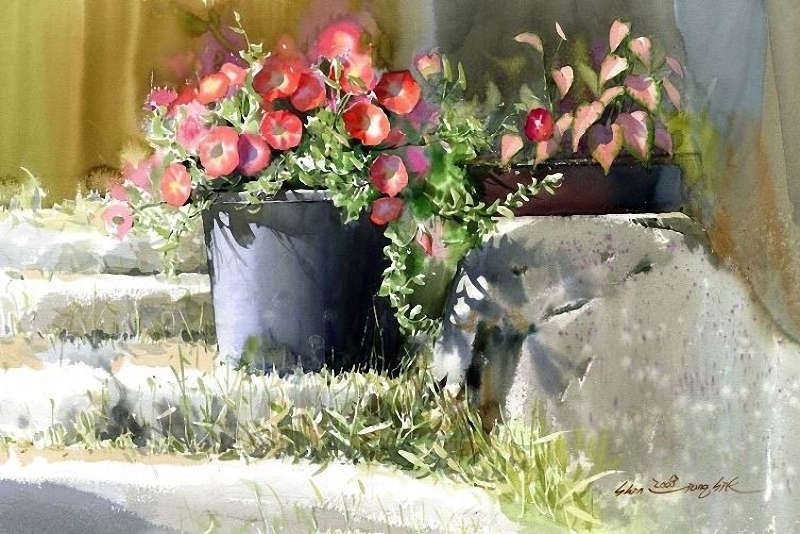 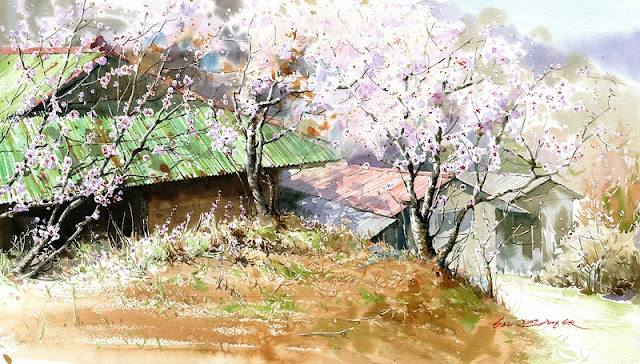 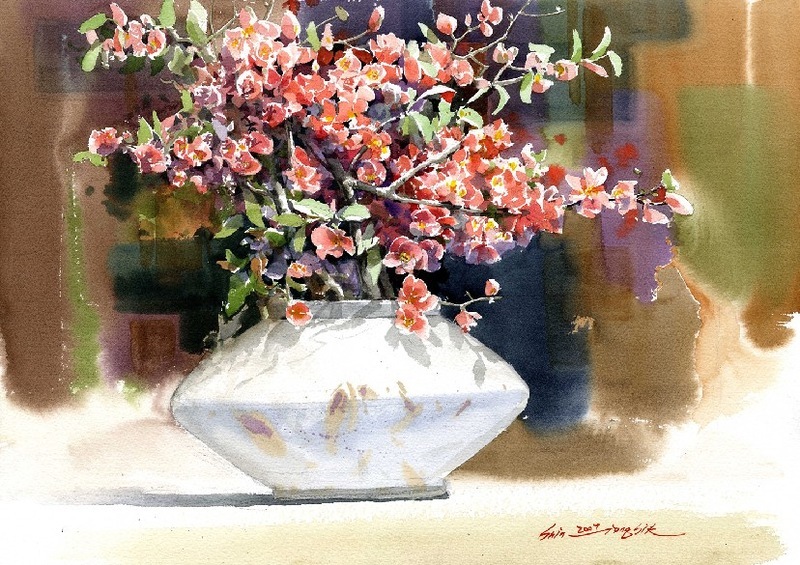 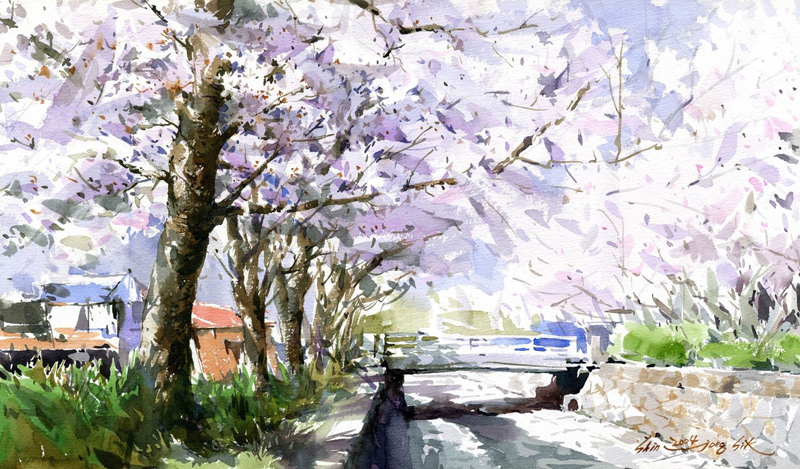 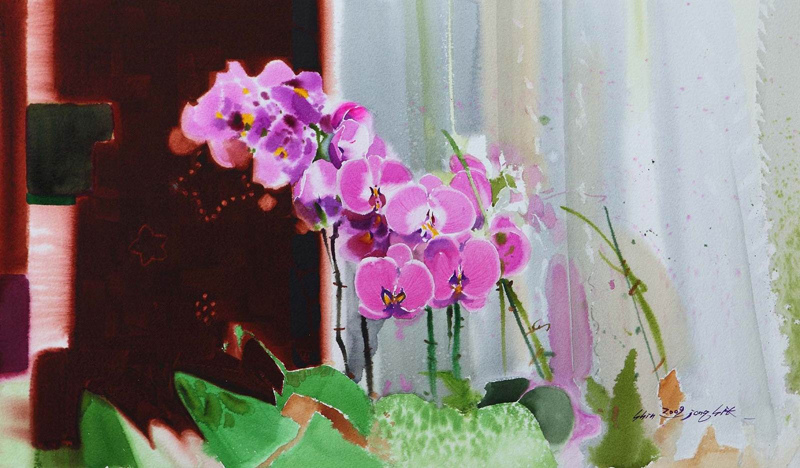 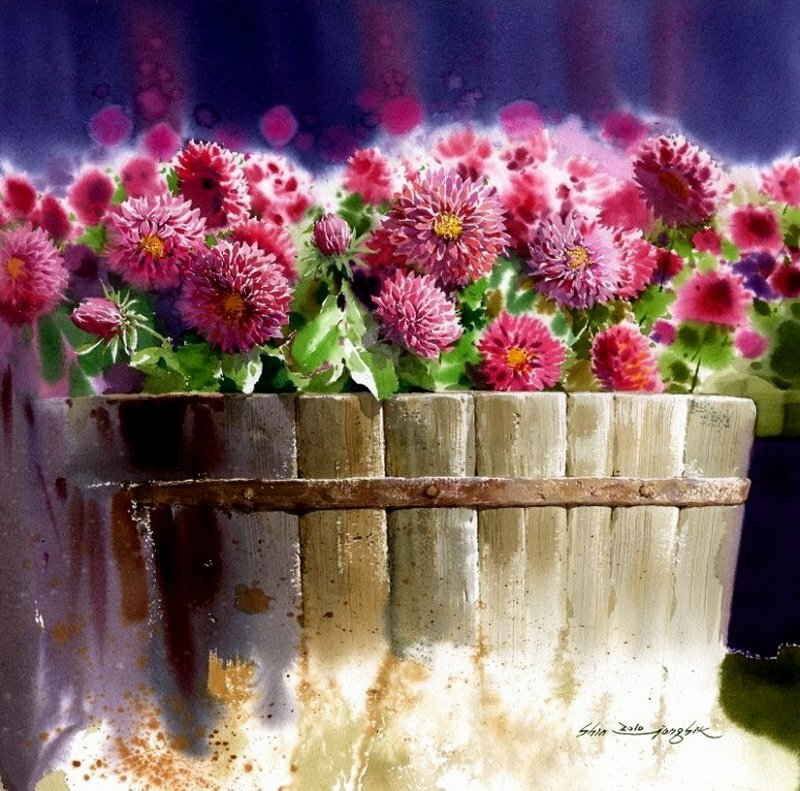 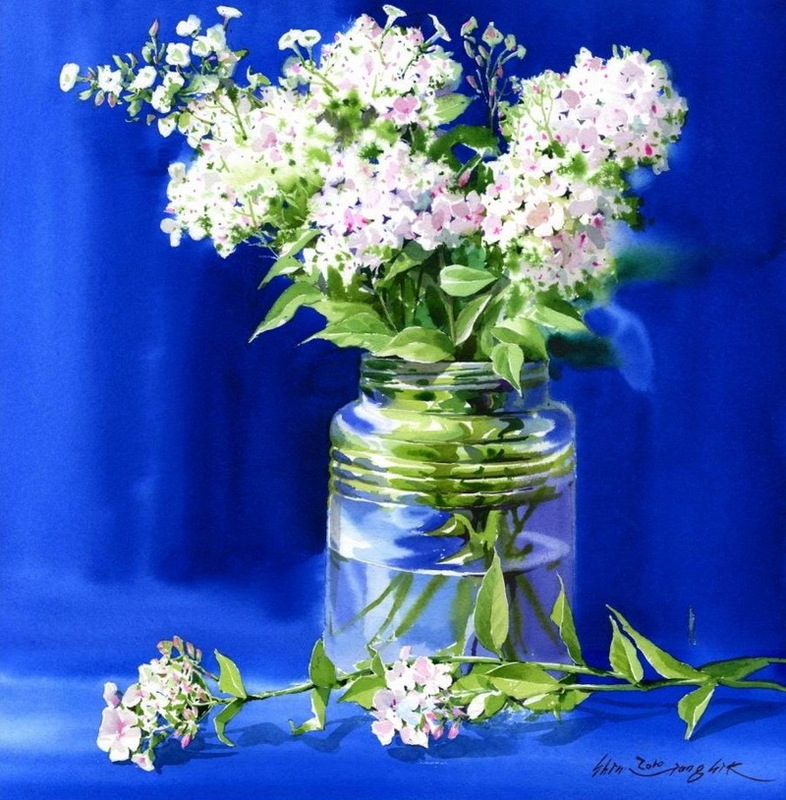 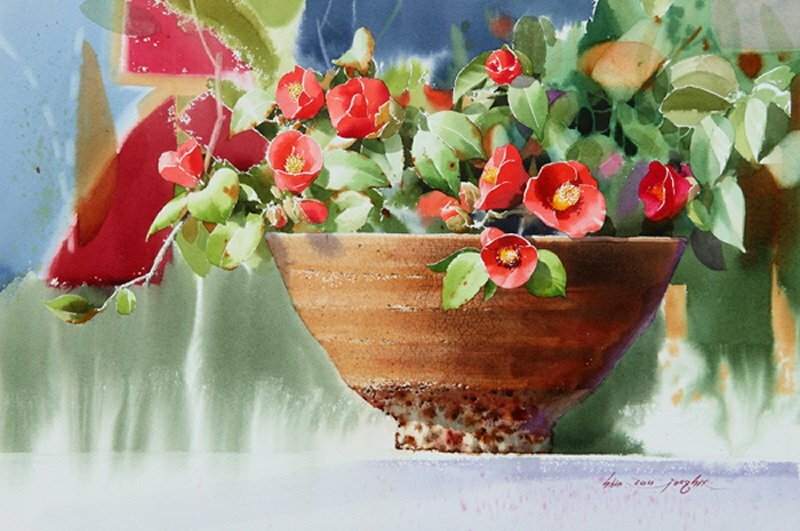 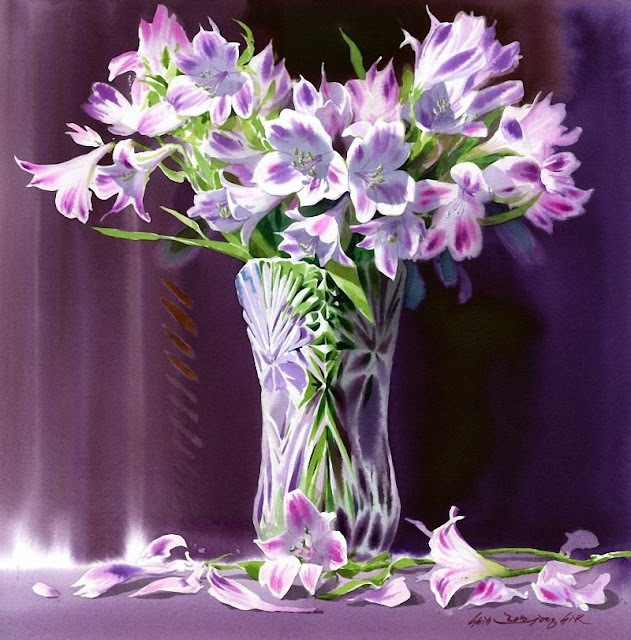 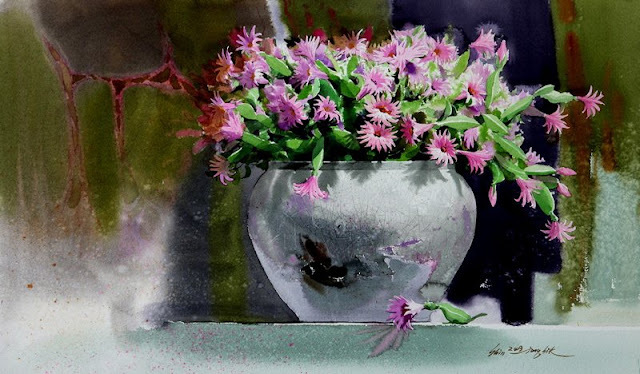 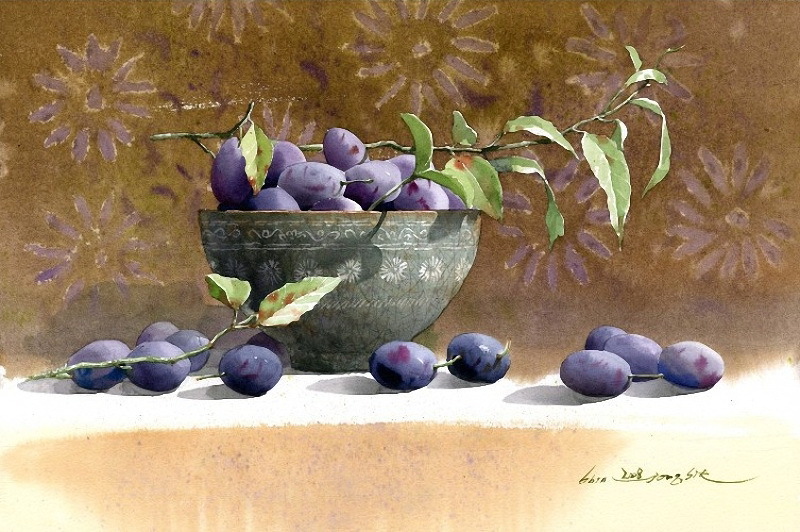 Home famous artist Flower Paintings Korean Artist Korean Painter Paintings Shin Jong Sik Still life Paintings Watercolor Korean Watercolor Painter "Shin Jong Sik"
Korean Watercolor Painter "Shin Jong Sik"
Shin Jong Sik is a famous Korean watercolor painter. He takes flowers, hemp clothes and dishes as his subjects. 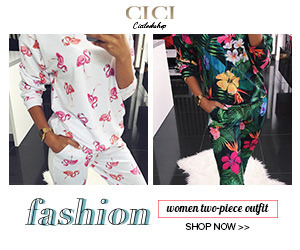 He composes his art with new innovative ideas. 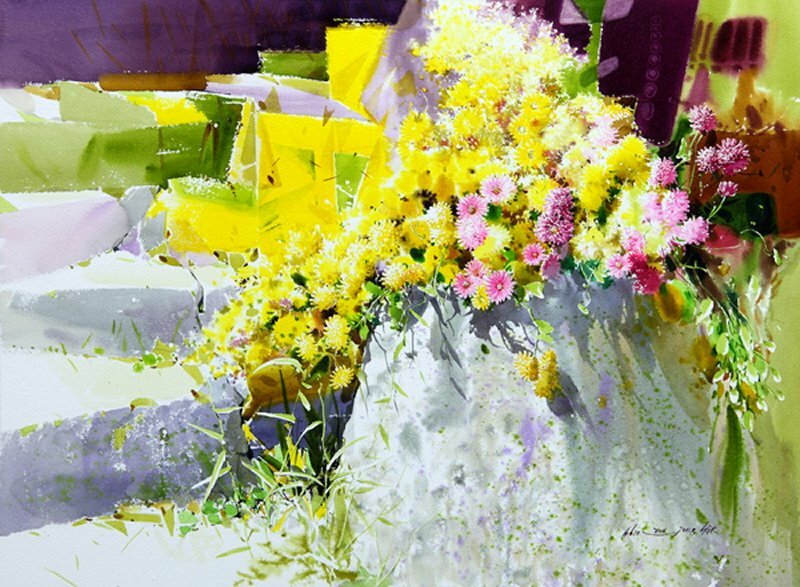 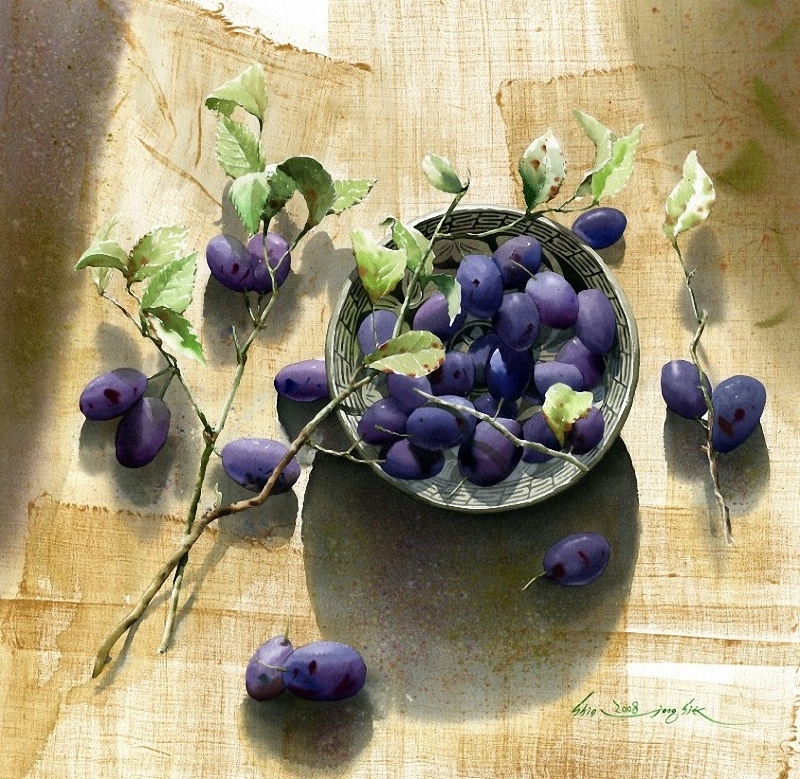 His paintings are based on the theme of clean and transparent colors. 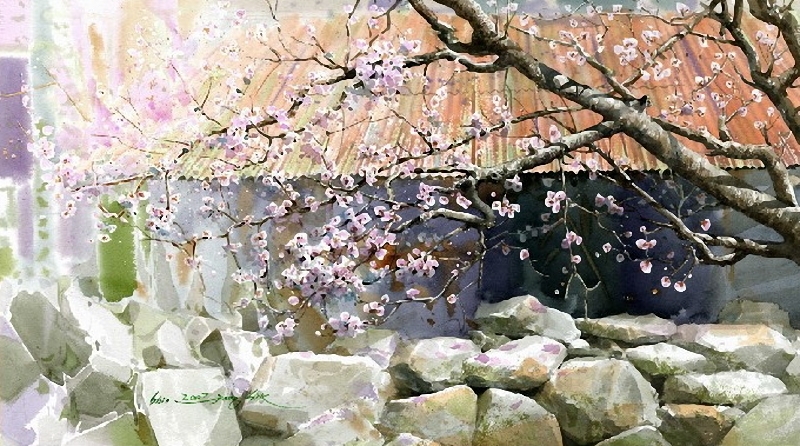 His art works are bold and delicate and the background of his paintings is usually left blank. 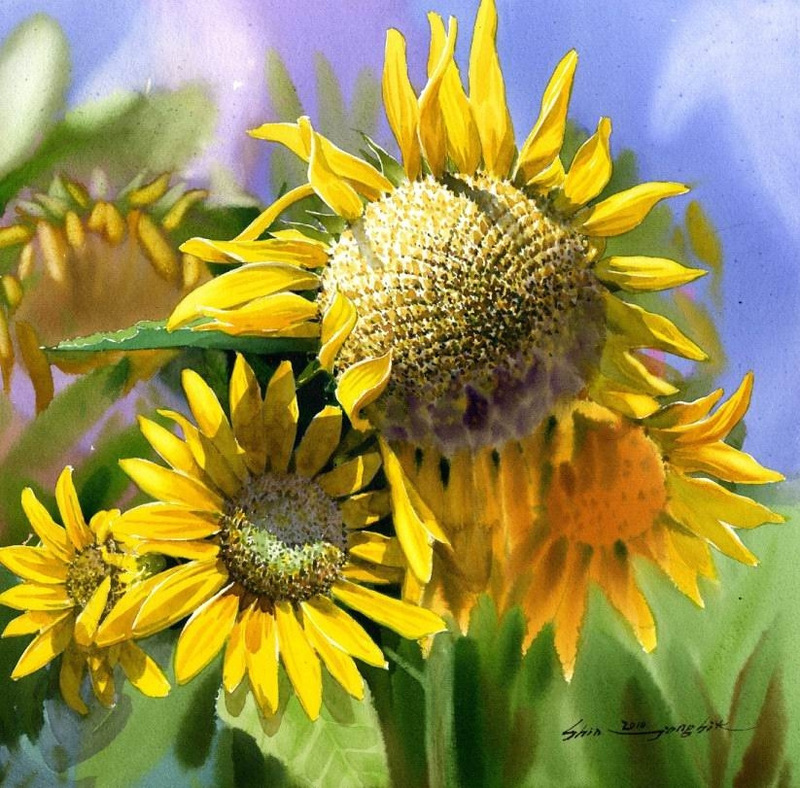 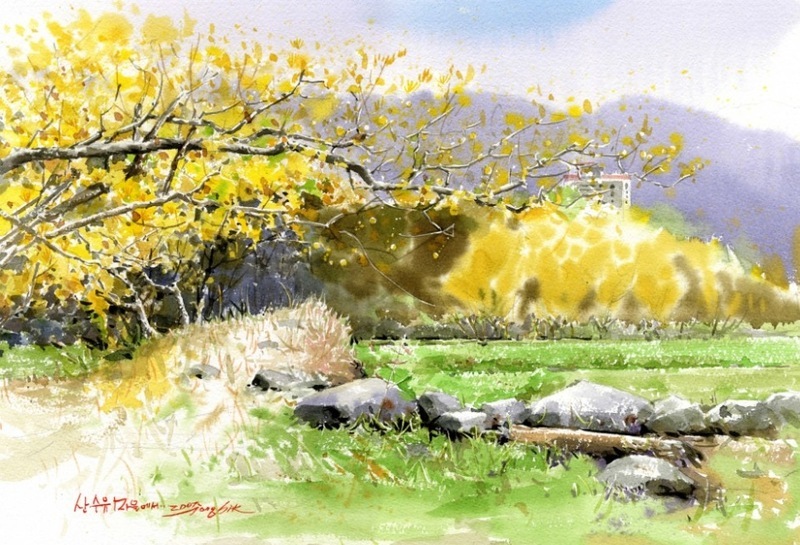 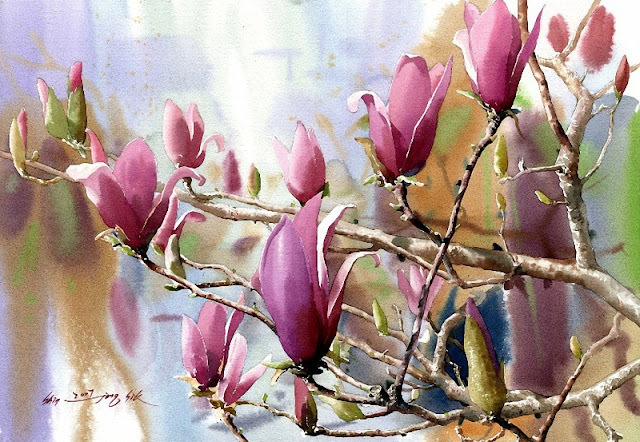 He is the first user of mission watercolor in Korea and he paints exclusively with Mission Gold Watercolors, a new premium line of watercolors distributed in the U.S. and Canada by Martin F. Weber Company.